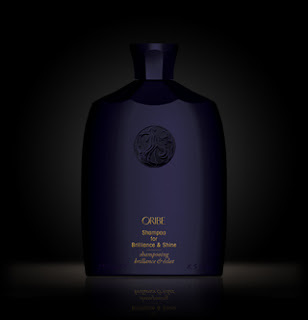 1) The intricately carved midnight blue bottle is absolutely gorgeous and looks amazing sitting in my shower. 2) The consistency is rich, lush and creamy -- almost to the point of feeling like conditioner. 3) It has a slight shimmery quality to it that just makes it feel really luxe. 4) It smells absolutely divine -- seriously, like heaven in a bottle. 5) Every time I lather up with it, my hair is sleek and shiny for at least two days. Sometimes three, depending on how hard I've been on it. Is this enough to tell you why I think it's worth the $44? Well, if you need another reason, let me just tell you this. Oribe is one of the world's premier hairstylists. He's coiffed the likes of Jennifer Lopez and Debra Messing. And he seriously knows what he's doing! Trust me on this. You really won't be disappointed. Get your own at oribe.com. I bought this at Blue Mercury the other day and I had people stopping me in the subway telling me how good my hair looked - seriously no one does that in New York. HIGHLY recommended. Their Blowout spray was also unreal. Tried this shampoo the other week - unnnreeeeeaaaaaaaal. Wow, I can't wait to try it. Going to stop by Blue Mercury after work this week. Have you tried any of the styling products? I'm considering Volumista and the Creme for Style.